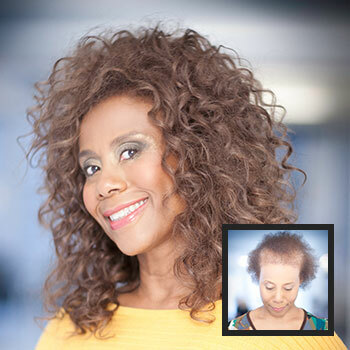 See how the EVOLVE Volumizer system has changed the lives of other women. "I started losing my hair when I was 10 years old. I remember the day exactly when my hair dresser noticed it. I was getting highlights for my birthday present from my parents and my hair dresser told my mother that my hair was starting to become very thin. That day started my 7 year journey to figure out why I was losing my hair. All my life I’ve always had a full head of hair. 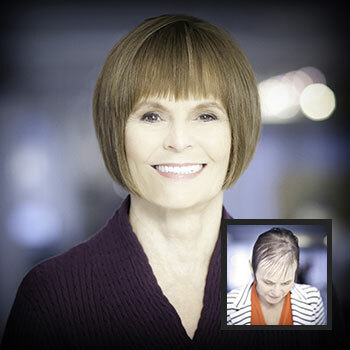 As I approached my forties, I started noticing my hair thinning, and it became worse as time went on. Also, the thin hair gene is hereditary in my family. As my hair got worse, I started wearing hats and head wraps, and eventually graduated to wigs. As a dancer, the wigs were very uncomfortable and extremely hot on my head, and I often became worried about the total security while dancing. My sister Bianca introduced me to the Volumizer and it is the best thing I have experienced. My life consists of regularly attending functions, both professionally and personally. Now, when I walk into a meeting, or function, I no longer feel self-conscious about my thin hair, and I am extremely comfortable with my appearance. The confidence I now feel when I get up in the morning and look at myself in the mirror, is life changing. Most of all, I love the texture of the Volumizer because it blends with the texture of my natural hair. I am truly grateful for the EVOLVE Volumizer, and I love what it’s done for my life. Thank you so much! I'm sure my thin hair is genetic. I remember my grandmother being bald, however I never thought it would happen to me. Due to a medical condition, I had to take prescription drugs that exacerbated my hair loss. As the director at a hospital, I interact with people every day and appearance is important. I started wearing wigs 10 years ago. A friend told me that a well-known stylist was offering a new service for women with fine and thinning hair that is an alternative to a wig. 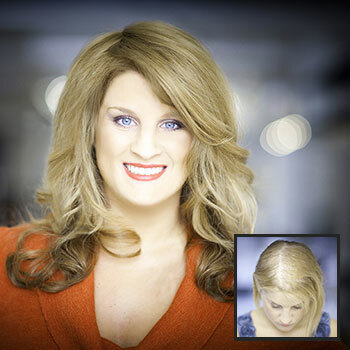 I can't believe how wearing the EVOLVE Volumizer has changed my life. I feel like a real woman again. The Volumizer is a part of me and at the same time it has set me free. I will never use wig tape again!